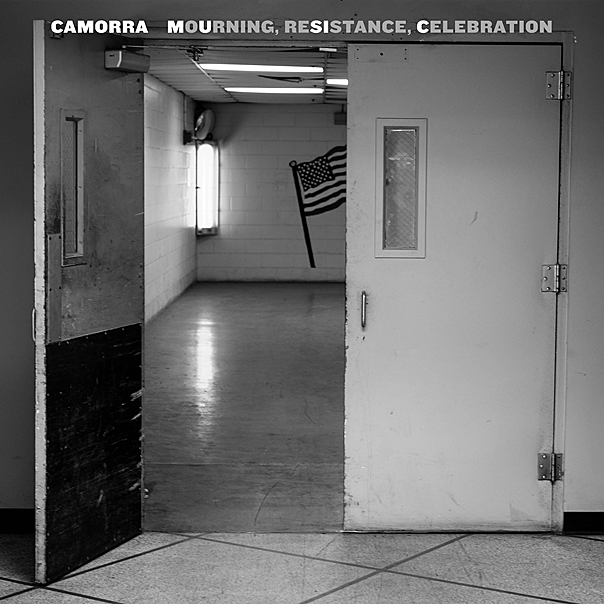 Jonah Matranga (of Far, New End Original, onelinedrawing, Gratitude, and others), J Robbins (of Jawbox, Government Issue, Burning Airlines, Office of Future Plans and others), and Zach Barocas (of Jawbox and BELLS≥) have formed a new band called Camorra. Their debut EP Mourning, Resistance, Celebration was recorded by J and it features a duet with Janet Morgan (who played with J in Channels) on a new arrangement of the traditional “Parting Friends,” plus gang vocals on “Black White Girl Boy” by Tierney Tough (of The Pauses) and Brooks Harlan & Shawna Potter (both of War On Women). The EP comes out later this year on Arctic Rodeo. We’re premiering the first song in the form of a lyric video. “Roosevelt Champion III” has Jonah singing lead and sounds like it could be straight out of Far’s discography. It’s great stuff, as you can hear for yourself below. 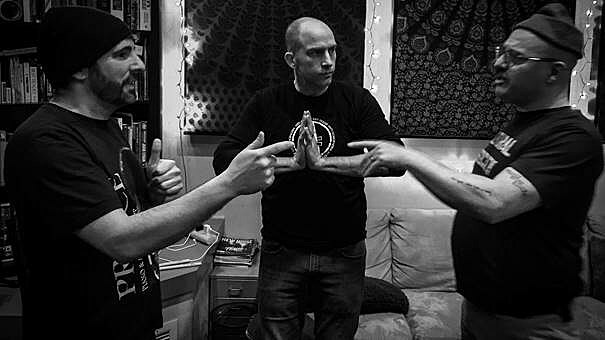 Camorra is not to be confused with Moral Mazes, another band that Jonah Matranga and J Robbins formed together just a few years ago.